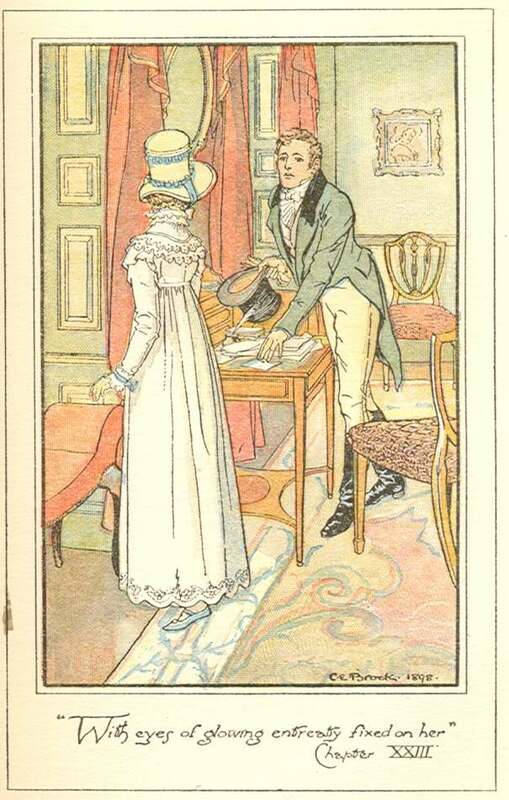 Gentle Readers: I welcome today one of our JASNA-Vermont members, Heather Brothers, as she muses on a certain passage in “Persuasion” that she “discovered” during a recent re-listen. We’ve had a bit of an email discussion over this, so now want to it share with you and solicit your thoughts too. To the Great House accordingly they went, to sit the full half hour in the old-fashioned square parlour, with a small carpet and shining floor, to which the present daughters of the house were gradually giving the proper air of confusion by a grand piano forte and a harp, flower-stands and little tables placed in every direction. Oh! Could the originals of the portraits against the wainscot, could the gentleman in brown velvet and the ladies in blue satin have seen what was going on, have been conscious of such an overthrow of all order and neatness! The portraits themselves seemed to be staring in astonishment. 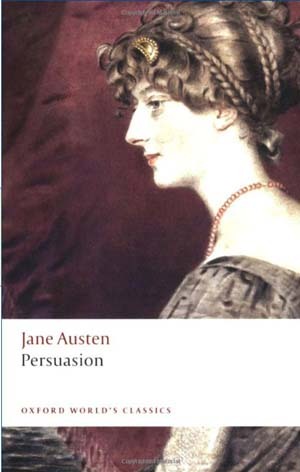 I have come to understand that Persuasion is written on the cusp of a new time period. Just before this passage above, Mr. and Mrs. Musgrove are described as representing the old ways and the two Miss Musgroves as the new ways. 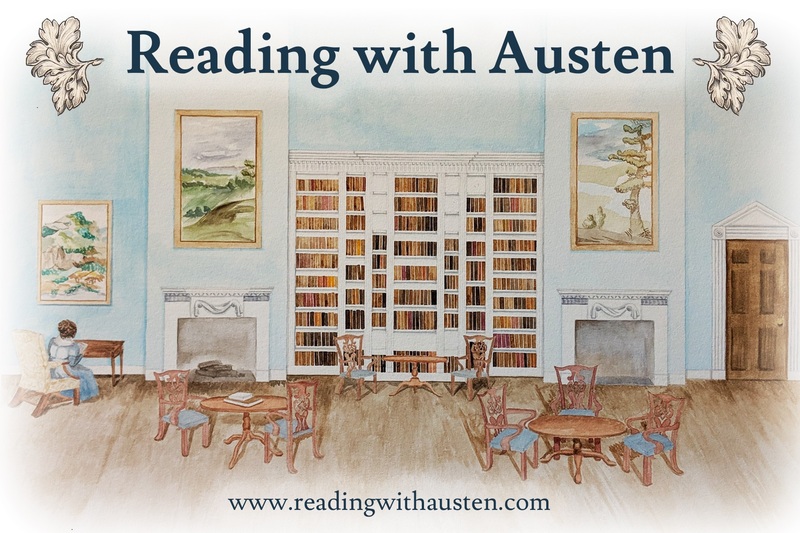 I get the impression that Jane Austen is using even the parlor in the Musgrove house as showing this change – that the minutia of interior design itself represents a change from the old ways to the new ways. What was happening in interior design at this time? What architectural changes were taking place? I understand from fashion that ionic columns and flowing lines were the mode, but simplicity doesn’t seem to be the case with the Musgrove girls’ additions to the parlor. When I read this piece to my husband, who is an architect, he immediately got the impression that the girls were over-decorating; that they were building up the style to improve and impress. This leads me to think that the astonishing overthrow of all order and neatness is both referring to the style of the room but also to the girls themselves. What would the portraits have thought of Henrietta and Louisa Musgrove in their endless pursuit of happiness, fun and excitement? Seen in an earnest light, Henrietta and Louisa’s behavior is seriously flawed. Henrietta almost loses a good, stable life with a man she really likes and Louisa almost kills herself through taking their love-struck silliness to too high of a level. Did it all start in the parlor? Would the piano forte have been sufficient, but the additional harp, flower-stands and little tables represent the overthrow of moderation? Is Jane Austen’s commentary on the parlor a harbinger of what’s to come for these girls or for society? If anyone can recommend books on this subject – please let me know! Austen packs into this one rather obscure sentence much about what is going on in the Musgrove household and the wider world! Thoughts anyone? Heather has also initiated at our meetings “The Awesome Austen Moment” – where we ask someone to read aloud a short passage from any of the Works, just to remind us all exactly what Austen could convey in any given sentence, this Persuasion piece a perfect example. Pardon delay in announcing the winner of the giveaway of The Introduction of Gentleman by Heather Brothers – I was trying to get in touch with the winner before I announced it on the blog and have now heard back – Fran Politi of our own JASNA-Vermont group wins the honors this time around! – Congratulations Fran! – very happy to have you win. Heather will send off the book to you pronto … I think you will enjoy it very much! And thank you Heather for the interview and offering a copy to us – the best of luck to you in your first publishing venture! 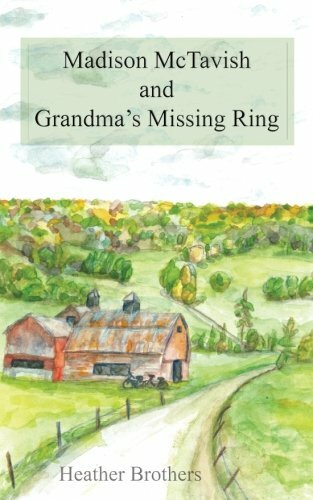 Gentle Readers: I welcome today one of our very own JASNA-Vermont members, Heather Brothers, to talk to us about her very own, just published, novel! – The Introduction of a Gentleman. A long-time Jane Austen fan, Heather has been coming to our meetings for the past several years – she loves the Regency period and this is her first go at a Regency historical romance – it is a great read, full of all the things you expect from the genre – good guys, bad guys, a naïve heroine, an estate in jeopardy, a bit of a mystery, and a fine Scottish setting both in the country and in Glasgow. Heather has graciously offered to tell us a little bit about herself and how she came to write this first book, and she will provide a free copy for a giveaway – see below for the giveaway details. 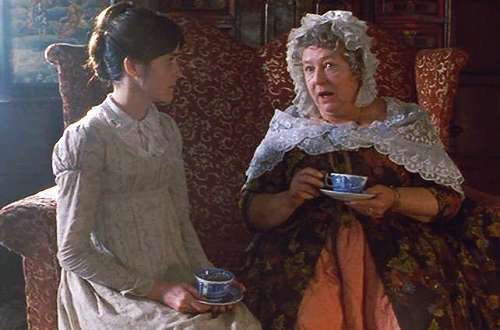 Heather: The seed that grew into my love of the Regency Era was planted – as many others may have experienced themselves – when I saw the 1995 BBC version of Pride and Prejudice. I lived in Australia at the time and was visiting my best friend’s family. Being proper members of the Commonwealth, they were shocked that I had not seen P&P. The first day at their house we sat and watched it from beginning to end – I was so enraptured by it, I didn’t want to leave my seat for anything! 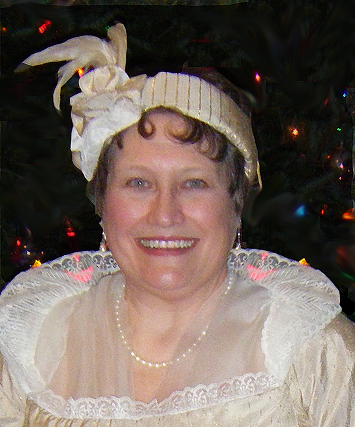 Being your typical enthusiast, I proceeded to throw a Pride and Prejudice New Year’s Eve party the following year – complete with country dance jammed into a most decidedly un-Pemberleyan dance hall (i.e. the living room of a cape house.) 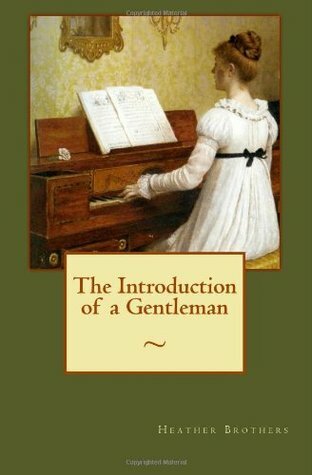 I had movie-viewing parties, read through each novel, connected with other Janeites, and after a trip to Scotland in 2008 for a friend’s wedding, I began the story that is The Introduction of a Gentleman. Inspired by names such as Carrick and Strathclyde (both of which my husband has refused to name any future children), I began thinking and working on who these characters would be. And being fairly recently graduated from that tumultuous match-making time of life myself, I wanted to create that time and those feelings in Laura’s life. After two years, I had created a rough draft and then fell victim to the precursor to the most glorious blessing one can possibly experience in life. Morning sickness led to hospitalization. Thank heaven for anti-nausea medication. And incidentally, if you throw up in the waiting room, you’ll get a hospital bed really fast. Keep that in mind. My daughter being born was so amazing and during the nursing phase I was able to read a ton of books – the first being re-reading Emma. I learned so much about writing from that intense reading-filled timeframe. I found that self-publishing really relies on your network of friends and family members. I got three critical reviews from friends – one who is a published writer, one who is an award-winning writer and Regency Era subject matter expert, and one who has a PhD in the Classics and is qualified to teach writing at the college level. My husband was also an invaluable help since, in self-publishing, you have to do all the formatting yourself (i.e. become a software expert.) I would really recommend Createspace, though. They have a lot of tools and all the channels set up for you. And this is how I come to be where I am now. I really hope you enjoy The Introduction of a Gentleman. 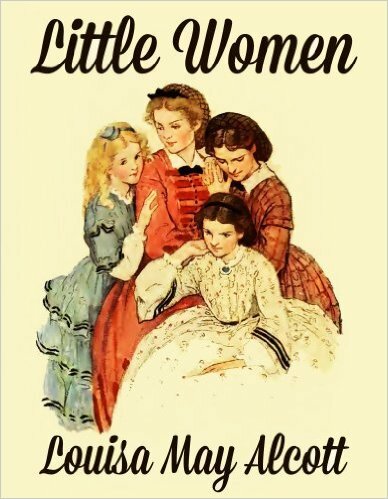 It doesn’t compare to the works of Jane Austen, but I think it’s a good read if you like that era. Deb: What sort of reading have you done to prepare you to write a Regency historical novel? Heather: Reading Jane Austen’s novels are in themselves a tutorial on many levels. 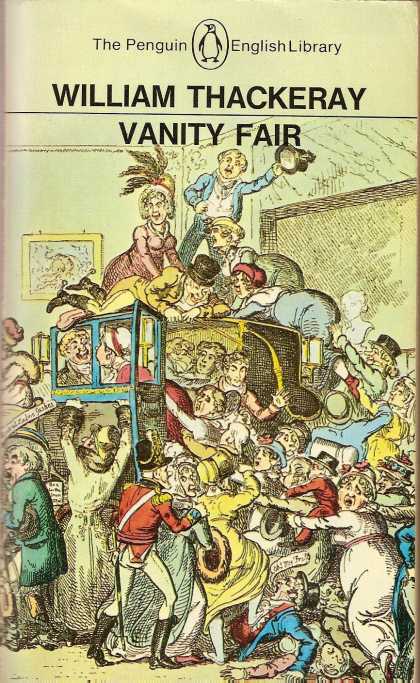 I have also read some great books about the era – most recently The Jane Austen Handbook by Margaret Sullivan. I have done online research as well as learned a lot from the JASNA-Vermont meetings. Deb: How long have you been reading Jane Austen? And what is your favorite book? Your favorite thing about her? Heather: Interestingly, I ordered Sense and Sensibility from the Scholastic Book Club when I was in 9th grade. I tried to read it but couldn’t understand who everyone was, so gave up. Fortunately, through increased brain development and a more keen interest, since that time, I have been able to enjoy each novel. My favorite book is Persuasion. What I love about Jane Austen is how funny she is and how brilliant she was in weaving everything together in these books. 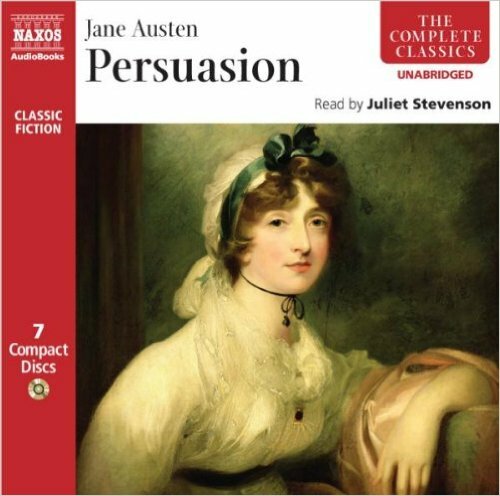 I’ve written an essay on the book Persuasion called “Might I Persuade You?” which I hope to record in an audio format. After listening to the audio version so wonderfully performed by Juliet Stevenson, I was struck by just how hilariously and wonderfully Jane Austen wrote. The other aspect of Persuasion that is so great is the theme of redeemed love and second chances – which is just irresistible. Deb: Are you working on another novel? And if so will it be set in the same time period as The Introduction of a Gentleman? Will you continue with any of the characters? 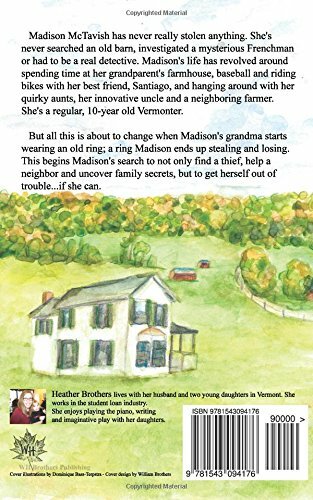 Heather: I am working on another novel – but it is a present-day story set in Vermont about a 10-year old girl who wants to figure out a family mystery amidst her quirky aunts, uncles and grandparents: Your typical Vermont family. Deb: Sounds like Cold Comfort Farm in Vermont! Can’t wait! What other kinds of books do you enjoy reading? 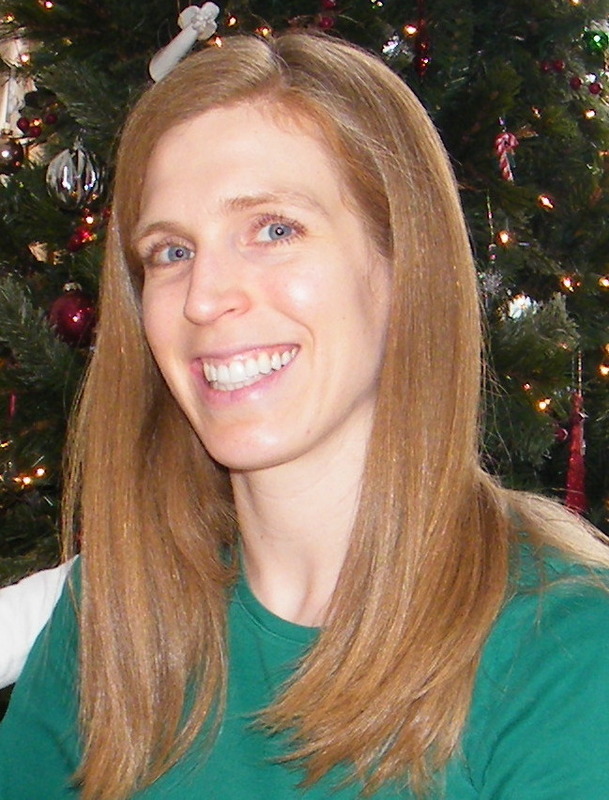 Heather: My favorite books right now are Alexander McCall Smith’s Isabel Dalhousie series and the No. 1 Ladies Detective Agency series. Deb: You mention a trip to Scotland and the reason why it is the setting for your book, but have you travelled to other places in the UK as well, specifically to Jane Austen country in England? Heather: My travels in Scotland helped me decide the general areas that I wanted things to take place. Sir William Blair’s country home, for instance, is based on a castle that my husband and I visited. Other scenes were inspired by a prior trip to England. One of my aunts used to live in Nottingham. 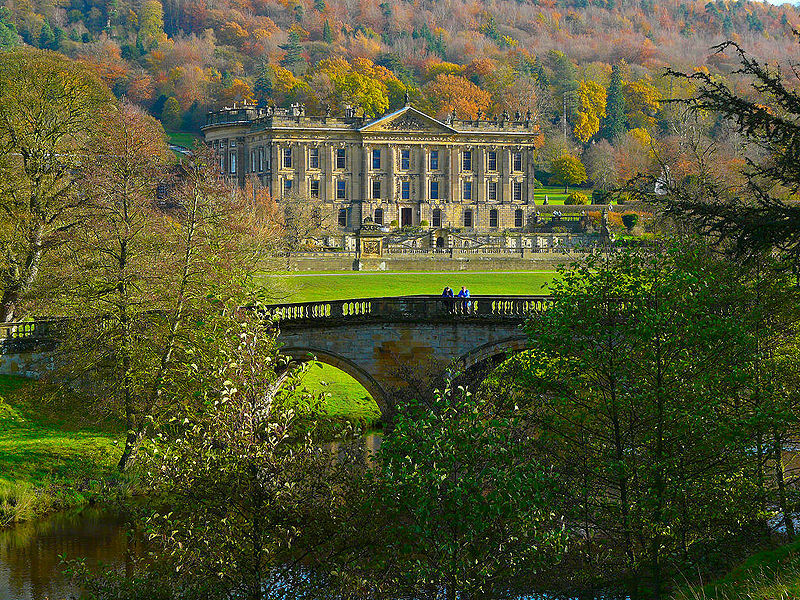 When visiting her, she took me to some amazing sites like Chatsworth, but this was before I became an Austen fan – so I didn’t realize what I missing out on! I actually had no idea what Chatsworth was prior to her taking me there. I was 18 at the time – with so much to learn! So another trip to England is definitely a hope. 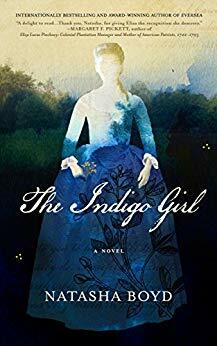 Deb: You dedicate the book to your sister, and also “To my husband, who came with me to my first Jane Austen Society meeting…on fashion.” Was that at a JASNA-Vermont meeting, or another meeting somewhere else? Thanks so much for having me here Deb! Deb: Thank you Heather! – and wishing you a great deal of luck with your first publishing endeavor. Plot synopsis: In 1797 Laura McCay searches for her path and a husband in the Scottish gentry. When the intriguing Mr. Strathclyde arrives at the May Ball, Laura is captivated by both his stature and his status. Her close friend, Carrick, deplores both the change he sees in Laura and Mr. Strathclyde’s growing influence over her. Heedless of the ramifications, Laura follows after Mr. Strathclyde, leaving family responsibilities and friends behind in the country. 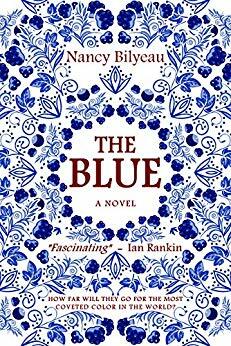 Laura disregards Carrick’s admonitions and throws herself into the city life of concerts, dresses and fashionable balls, only to find that not everything is as it seems…. What Amazon says: Heather Brothers is an avid Jane Austen fan and has had the pleasure of visiting Scotland several times. She lives in Vermont with her family. 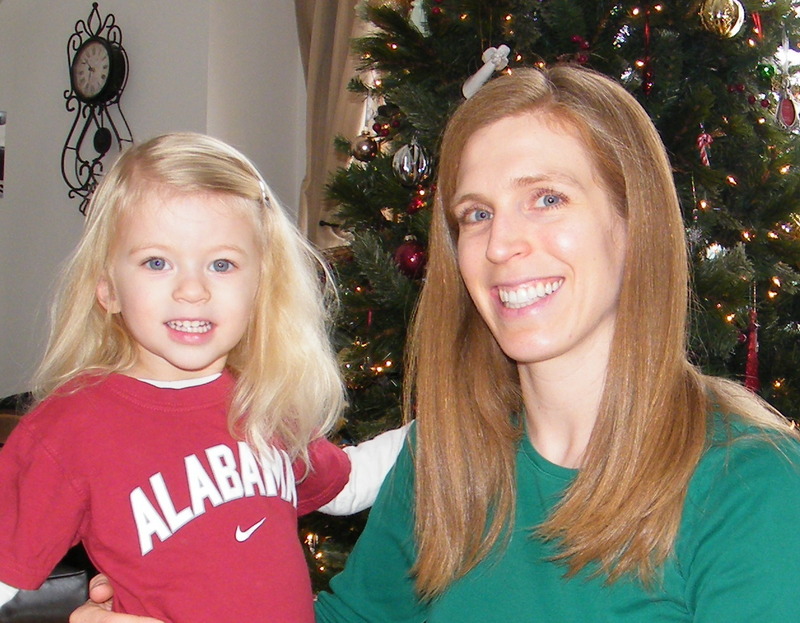 More detail from Heather: I was born and raised mostly in Vermont, with three years of my childhood spent in Germany. I went to McGill University in Montreal, and spent one year in Australia. I studied Political Science, German and French, and like many with a liberal arts degree, my job doesn’t reflect my studies. I work as a loan analyst at the Vermont Student Assistance Corporation, where I have worked for eight and a half years.